Split between a North and South Fork Camping Zone, Cascade Canyon provides the epitome of Teton Range backcountry. Permits are required to backpack into and stay the night within Cascade Canyon, and all overnight users must pack in all equipment and gear they will need, including food, water purification, shelter, and waste disposal. Big views of the Teton Range and surrounding alpine environment can be found wherever you pitch a tent, and it’s not uncommon to see a bear, moose, or marmot sharing the area. 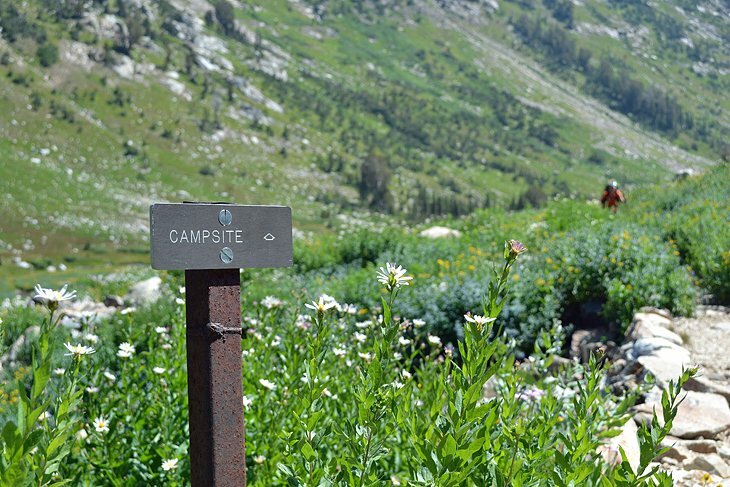 Ideally, part of a larger itinerary on the Teton Crest Trail, both Cascade Canyon Camp Zones provide the perfect backdrop for a backcountry adventure. Operated by the Forever Resorts concessionaire within Grand Teton National Park, Signal Mountain Campground is located near the south shore of Jackson Lake, and provides 81 sites that can accommodate RVs up to 30 feet in length. Most sites at Signal Mountain are non-electric, and all campsites operate exclusively on a first-come, first-served basis, with capacity often reached in the summer season by 10am. Signal Mountain Campground comes equipped with flushing toilets and cold running water, and each campsite includes a picnic table, fire ring, and a place to park your car. Thanks to the nearby Signal Mountain Lodge, overnight users and visitors have access to a general store, public showers, and a laundromat, as well as plenty of dining options, including the Trapper Grill Breakfast and Leek’s Pizzeria. Located on the north end of Jackson Lake and Grand Teton National Park, the Lizard Creek Campground offers quiet surroundings alongside stunning scenery. Operated by the Forever Resorts concessionaire, the 60 non-electric sites comprising the Lizard Creek Campground can be found nestled into an aromatic swath of spruce and firand can accommodate vehicles up to 30 feet in length. One of the biggest draws of the Lizard Creek Campground is the adjacent Jackson Lake, which provides opportunities to swim, fish, and admire the Teton Range backdrop on full display. 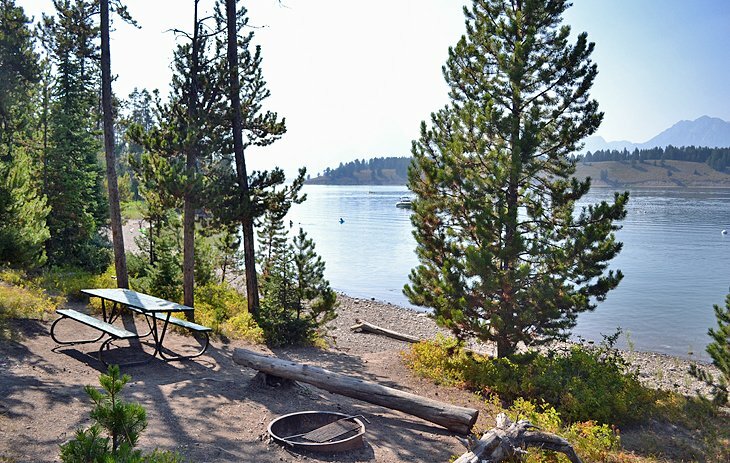 Located just as close to some of the top attractions of Yellowstone National Park, the Lizard Creek Campground is perfect for those looking to transition from one park to the other.